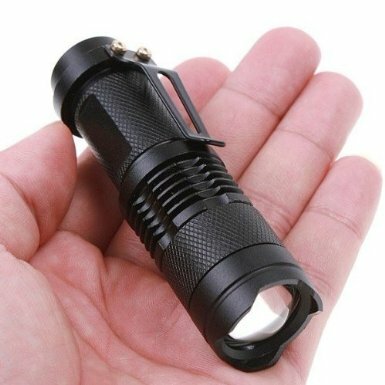 FordEx Mini LED Flashlight with Adjustable Focus and Zoom $3.90 + FREE Shipping! You are here: Home / Great Deals / Amazon Deals / FordEx Mini LED Flashlight with Adjustable Focus and Zoom $3.90 + FREE Shipping! Looking for a great stocking stuffer? Get this FordEx Mini Cree LED Flashlight with Adjustable Focus and Zoom for Only $3.90 on Amazon! Plus, shipping is FREE! I think I’m picking up one for my dad and brother-in-law!